To start with, you can create separate 'notebooks' for different topics. I'm starting off with one for my usable garment yardage (there's no way in hell I'm sorting through my quilting FQ / scraps! ), one pattern catalogue and one non-sewing related for quick reference recipes I use frequently. 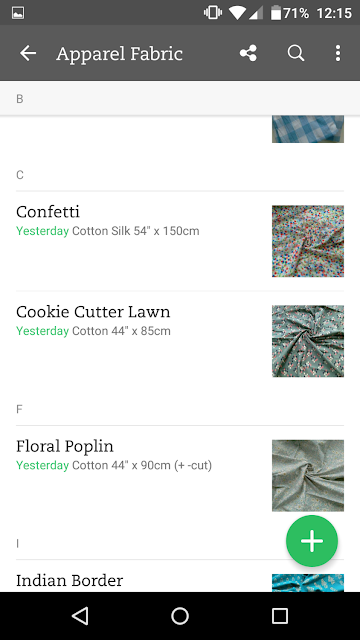 With my fabric stash I'm simply taking a quick in-app snap of the fabric, adding a descirptive title and then content and yardage details. 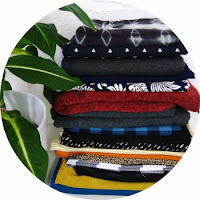 In doing this I've found a couple of beautiful cuts I'd completely forgotten about so I'm hoping that this catalogue will help me sew through some of what I have ahead of buying new. Interestingly (or not depending upon ones perspective!) I have a little quirk of measuring my body and bolt width in inches, but the fabric cut in metres. For some reason I can best visualise them this way. Maybe that makes no sense but, hey! I'm a complex creature! 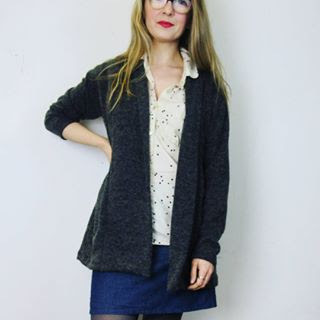 So on to patterns. 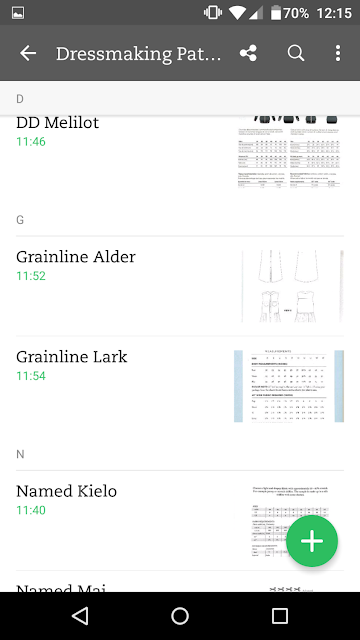 I'm most excited by the fact that this app allows you to take a picture of the fabric requirements page or envelope back, and then auto-optimises it into document form to enable you to clearly read (and search!) text -even handwriting though admittedly I've not tried that. Amazing huh!? It's not always beautifully captured but it's so incredibly handy! This means that whilst out shopping for fabric you can A) see what you already have at a glance, and B) quickly call up requirement pages to avoid a lengthy google search etc when you're stood in the queue trying to figure out how much darn fabric you need! Handy huh?! I'm impressed. Just for clarity this post is in no way affiliated or sponsored, I simply stumbled upon the app, gave it a try and thought I'd share the love. How do you catalogue your stash? Do you use this app already? If not ...tempted?